InStep NanoPower, in collaboration with Vibram, Istituto Italiano di Tecnologia, and University of Wisconsin has developed an inexpensive simple high-power energy harvester capable of converting mechanical energy into electrical power , which can dramatically extend the capabilities and operational time of a broad range of mobile electronic devices. The mechanical energy is directly converted to electrical energy by a revolutionary new method developed by InStep NanoPower researchers. 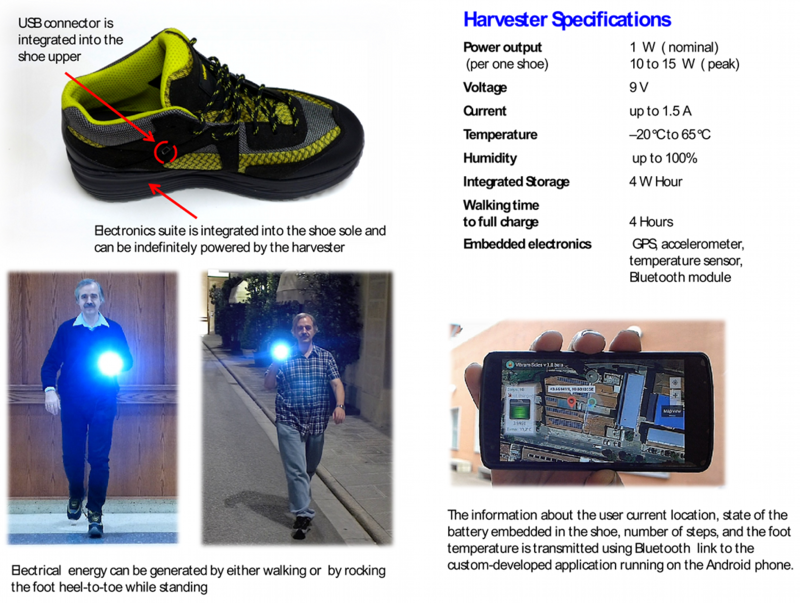 One of the most promising application of this technology is to harvest the mechanical energy produced by humans during walking. 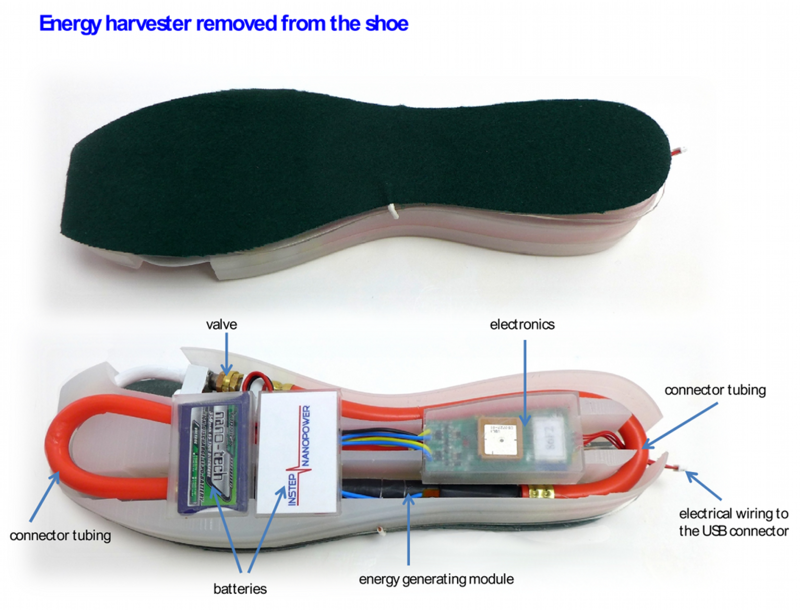 To capture this energy, which is normally simply lost as heat, the energy harvester and energy storage unit can be easily incorporated in footwear as shown below. We have also designed a novel energy management system, which allows direct utilization of the generated energy by common mobile devices such as smartphones and does not require connecting wires or mobile device modification. In particular, the integrated Wi-Fi hot spot can act as a “middleman” between mobile devices and a wireless network. Such an arrangement dramatically reduces power consumption of wireless mobile devices and allows them to operate for much longer time without battery recharge.